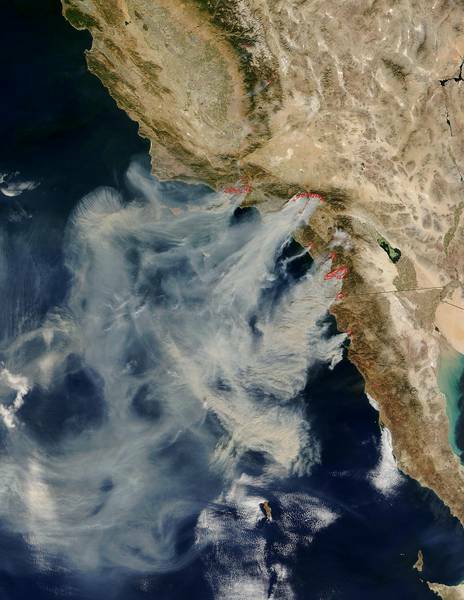 Wildfires, like those currently in California, have a large environmental impact. Uncontrolled blazes can burn tens of thousands of acres, destroy vegetation and settlements, and severely affect local and regional air quality. An international team of scientists, led by Yafang Cheng and Hang Su from the Max Planck Institute for Chemistry in Mainz, have now found that wildfire impact on the atmosphere may be even stronger than previously thought. The researchers discovered that large amounts of soot, which contains a lot of black carbon and is released by wildfires, can be transported through the troposphere up to the lowermost stratosphere around 10 kilometers altitude. Black carbon is the most strongly light-absorbing aerosol material from fires and is regarded as one of the most important individual climate-warming agents. Among the international team of the CARIBIC project are Markus Hermann and Denise Assman, two scientists from the Leibniz Institute for Tropospheric research (TROPOS) in Leipzig.